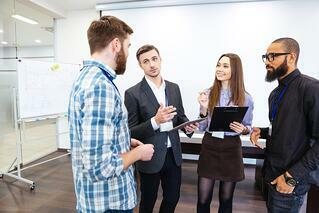 As of last year, 90 percent of leaders believe an engagement strategy would help this problem. As of now, only 25 percent of companies have one. One way an office can prevent this is by incorporating team building activities. A common example of a team building activity is a daily office meeting. But they can become repetitive and make employees feel forced to attend them. This can lead to disengagement during meetings. A way to add a fun twist to a meeting is putting coffee into the mix. 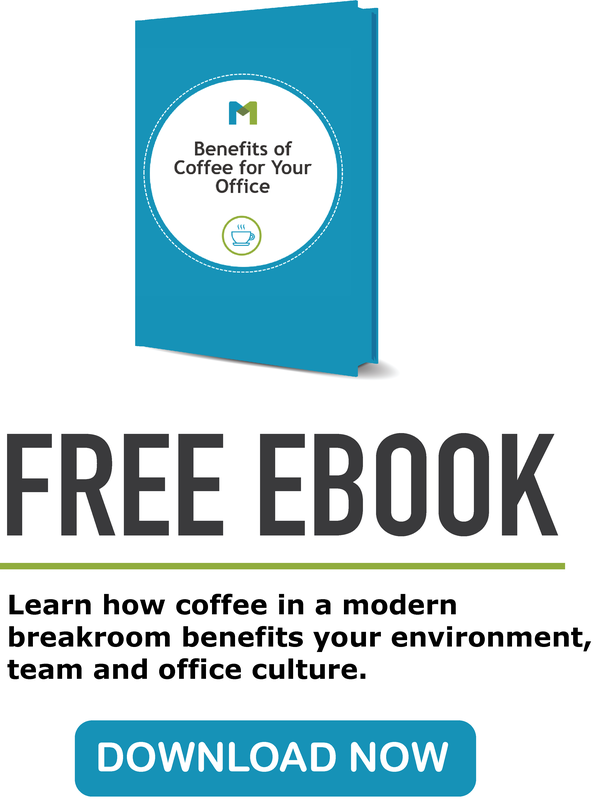 Coffee can create an incentive for employees to attend. And, instead of calling office meetings, you can have Coffee Huddles. Sometimes employees don’t have time in their workday to ask how another co-worker’s day is going. Sure, employees can say a passing hello, but it’s not the same as having a conversation. With Coffee Huddles, employees can grab a cup of coffee and come together. These huddles can provide a healthy way for employees to vent about their day and feel they’re heard. It can bring light to common problems and create opportunities to talk about how to improve it. Rather than having coffee breaks at different times, create a time where employees can have it together. This meeting style can be relaxing where employees can even have fun. It’s common for employees to get caught up in their busy day and not realize how other departments are doing. During Coffee Huddles, departments can interact with one another and catch up. Each department can have their own coffee break throughout the day. Additionally, a whole office or multiple departments can come together with coffee as the common incentive. This can provide employees the chance to learn about other departments and engage with co-workers they don’t come in contact with often. 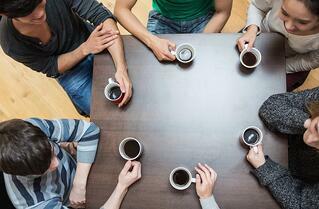 Coffee Huddles can be a time where employees brainstorm ideas on how to solve daily work issues. Regular meetings can feel like a strict environment where one person can be taking the lead. Coffee can create a coffee shop atmosphere so employees feel relaxed which may result in an open environment. In addition to finding out about everyone’s day, leaders can ask what can be improved in the office. Leaders can create engagement by making employees feel like they have a voice and an opinion. According to Harvard Business Review, meetings “foster relationships and ensure proper information exchange.” By adding coffee to daily meetings, an office can create more opportunities where employees can engage with one another and grow together as a team. Not sure what kind of coffee to offer during your Coffee Huddles? Try our Three-Day Coffee Demo and Tasting and find out which flavor(s) your employees prefer. 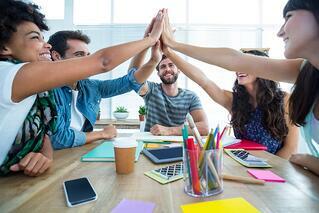 Does your office have team building activities or fun meeting ideas? Please share in the comments below.